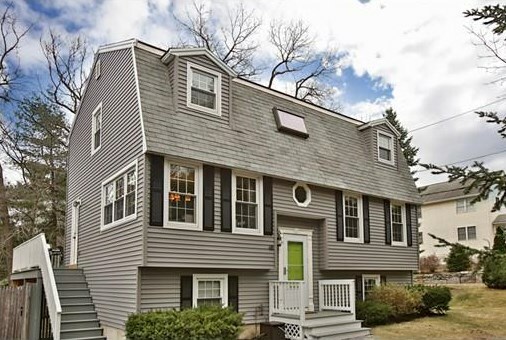 Beautiful Gambrel style 3 bedroom, 3 bathroom home nestled on a pretty, tree lined street in a quiet neighborhood close to the Burlington line. With proximity to schools, shopping, restaurants, and Route 3A, yet tucked away in a peaceful and walkable neighborhood, one has the best of both worlds. With an expansive and comfortable floorplan, a bonus office and family room, a large fenced in backyard and many recent updates, this house is sure to capture your heart! The kitchen is fully applianced and boasts granite counters and gas cooking. The 3 bedrooms are of ample size A recently rebuilt deck is ideal for summer dining and leads down to a large fenced in backyard, complete with a shed for extra storage. Full side by side washer/dryer on the lower level. Gas forced hot air heat and central air conditioning. Drop down ladder for some attic storage. Bathrooms on the top two floors have been newly remodeled . House has recently had new vinyl siding installed on exterior. 2 car driveway. 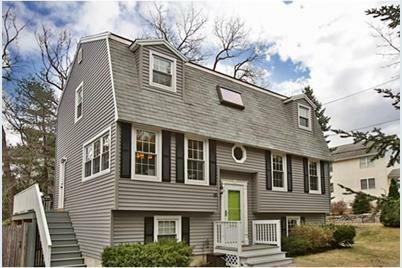 48 Hamilton Avenue, Billerica, MA 01821 (MLS# 71972815) is a Single Family property that was sold at $453,000 on May 10, 2016. Want to learn more about 48 Hamilton Avenue? 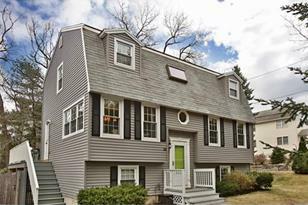 Do you have questions about finding other Single Family real estate for sale in Billerica? You can browse all Billerica real estate or contact a Coldwell Banker agent to request more information.